Last September, a 54-year-old man with a serious mental disorder was picked up by police in Calhoun, Georgia, on suspicion that he was walking in a road drunk, a seemingly unremarkable entry on a small town's crime blotter. Instead, the charge set in motion a legal odyssey that has put the man at the center of a movement to dismantle a pillar of the American criminal justice system: cash bail. The man, Maurice Walker, spent a week in jail because he was unable to pay the $160 cash bond required of anyone arrested for "being a pedestrian under the influence." While he waited to see a judge, a civil rights law firm took up his case, filing a lawsuit that accused the city of violating the Constitution's guarantees of due process and equal protection by keeping poor defendants accused of minor crimes jailed before trial. The case drew interest around the country, with police and bondsmen siding with the city and the U.S. Department of Justice filing a brief in support of Walker. It has landed before a federal appeals court, where it is being watched as a potential bellwether for reform. "It could have a huge impact on our momentum," said Phil Telfeyan, executive director of Equal Justice Under Law, which has several pending lawsuits challenging local courts' use of bail. America's bail system has become a central issue in the fight to reverse mass incarceration and to ease the disproportionate burden shouldered by the poor and minorities. In courthouses, statehouses and ballot boxes across the country, civil rights lawyers and progressive policymakers are working to curb the practice of demanding money in exchange for freedom before trial, an effort tied to a broader crackdown on other money-based penalties, such as fees and fines. Bail is a centuries-old tool that allows judges to release defendants who may be at risk of fleeing by requiring them to post a certain amount of money as a way of ensuring they'll return to court. To make bail, defendants either pay the amount themselves or get a loan from a bail bondsman, who typically charges a 10 percent fee. But bondsmen often don’t bother to lend the money to defendants facing minor offenses because the profit is too low. The reformers argue that cash bail denies freedom to thousands of people who are presumed innocent but can't afford the bond. That triggers a cascade of problems, disrupting poor defendants' lives, making them more likely to plead guilty and contributing to the overcrowding of local jails — and mass incarceration nationwide, researchers say. The use of bail has exploded in the past two decades, driving a 59 percent rise in the number of un-convicted jail inmates from 1996 to 2014, according to a report by the White House Council of Economic Advisers. Many defendants buy freedom with help from bail bondsmen, but are often unable to pay off the additional fees, the report said. At the same time, the rates at which people awaiting trial were re-arrested have not declined, which "suggests that current bail policies may not be improving the safety of communities," the report said. For many, the solution is simple. "We're working to eliminate cash bail in the country, period," said Cherise Fanno Burdeen, chief executive officer of the Pretrial Justice Institute, which advocates for detention policies that keep low-risk people out of jail. 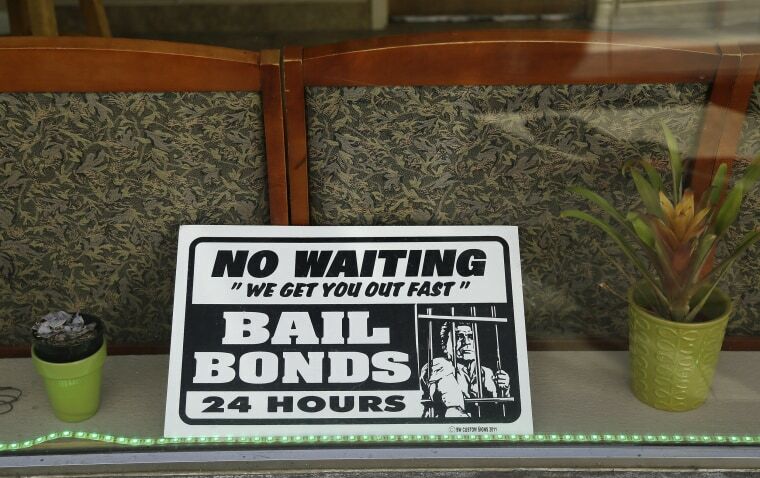 The bail bond industry sees it much differently. It criticizes the anti-bail movement as a costly threat to a fundamental cog in the wheels of justice, and says money bail provides a check on attempts by judges and prosecutors to use more arbitrary criteria to hold people before trial. Instead of eliminating cash bail, courts need to make sure defendants appear before judges soon after their arrest so they can argue for lower bail, said Jeff Clayton, executive director of the American Bail Coalition, a trade association representing bail-bonding companies. Walker's case is one of several lawsuits targeting local and state bail practices from Alabama to California. At the same time, voters in New Mexico will decide on Nov. 8 whether to change the state constitution to prevent detention of defendants who are not dangerous or a flight risk "solely because of financial inability to post a money or property bond." That ballot measure follows a successful campaign to change the state constitution in New Jersey two years ago, when voters approved a new system that focused on expanding assessments of defendants to determine whether they should be released, a change that is expected to dramatically reduce the number of people held in jail before trial. New Jersey will rely on a computerized assessment tool of the type reformers — and the Obama administration — believe can drive changes elsewhere. But Clayton cites New Jersey as an example of why he thinks reformers will ultimately fail to eliminate cash bail from the American system: the price tag. New Jersey is still trying to figure out how it will cover the millions of dollars needed to run its new system. Kentucky has also adopted such a tool. So have many cities and counties. New York pledged to change its bail system following the June 2015 suicide of Kalief Browder, who spent three years, from the age of 16 to 19, at Rikers Island — much of it in solitary confinement — while awaiting trial for a burglary he said he did not commit. Earlier this month, the Maryland attorney general's office told lawmakers that the state's bail system may be unconstitutional, setting up a potential campaign to eliminate cash bail there. The model, for many, is Washington D.C., which has overhauled its system so thoroughly that only a small fraction of defendants are held in jail before trial. In March, the Department of Justice sent a letter to judges around the country reminding them that it was illegal for poor defendants to be jailed "solely because they cannot afford to pay for their release." The letter added, "courts should consider transitioning from a system based on secured monetary bail alone to one grounded in objective risk assessments by pretrial experts." It has also inserted itself into Walker's case. Walker, who survives on disability payments and lives with his sister, was in the Gordon County jail in September 2015 when lawyers from the Southern Center for Human Rights happened to be there checking on complaints about poor conditions. They filed the lawsuit while he was still incarcerated, and continued the fight after he was released and paid a $160 ticket for his offense, his lawyer, Sarah Geraghty, said. Walker won an early round when a federal judge ruled against the city of Calhoun. But the city, backed by the Georgia Sheriffs' Association and the American Bail Coalition, fought back, saying that its preset schedule of bail amounts tied to alleged crimes are legal, and that not having such schedules "greatly reduces the incentive for defendants to appear." When the case was sent to a federal appeals court, the Justice Department filed a friend of the court brief in support of Walker, arguing that "bail practices that incarcerate indigent individuals before trial solely because of their inability to pay for their release" violated the 14th Amendment's guarantee of equal protection. Geraghty said the case marked the first time "in a good while" that a federal appellate court had the opportunity to consider the constitutionality of a city's bail policy. She declined to discuss the case's potential impact. Reformers say they hope that all this activity — the lawsuits, law changes, ballot questions and other initiatives — will create enough force to turn public opinion — and the opinions of judges — against one of the American criminal justice system's oldest and most embedded practices. Larry Schwartztol, executive director of the newly formed Criminal Justice Policy Program at Harvard Law School, said he sees it happening already. 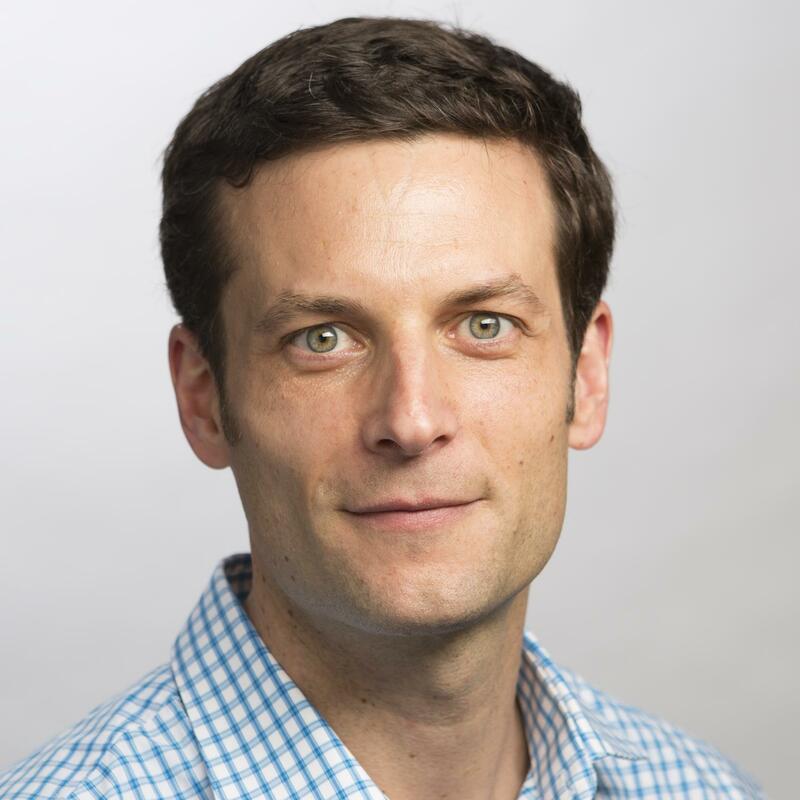 "There's been this amazing pendulum swing from what had been a bipartisan coalition in the 1990s for a punitive approach to criminal justice to a broad convergence now of people thinking about ways to be smart on crime, to move away from mass incarceration and to account for the harmful effect the criminal justice system has had," Schwartztol said. He added, "I think there may be a tipping point for sweeping change."